A sublime 1895 Belle Epoch burgundy silk and velvet dress that has recently been de-accessioned from a museum collection. The cataloging number and name of the museum is stitched inside the bodice. 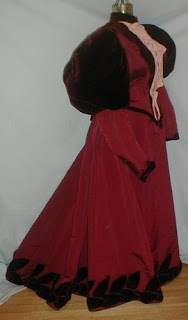 The bodice has full leg of mutton style sleeves It has wide lapels that extend over the top of the sleeves. 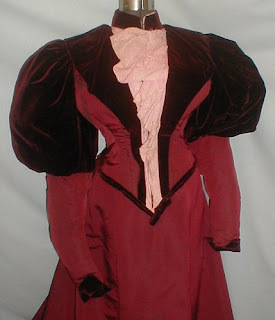 The front opening has an insert of pink chiffon. The bodice is lined with cotton and has a hidden front button closure. 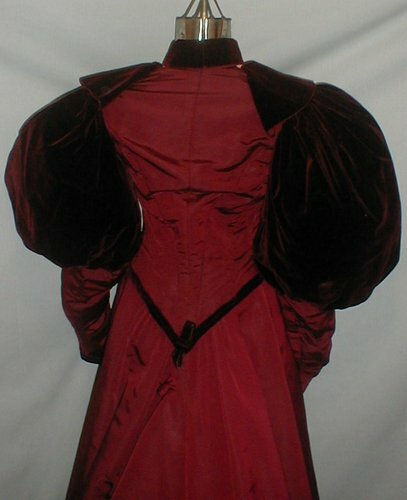 The skirt hemline is trimmed with velvet in a large leaf pattern. The skirt is lined with cotton. The dress is in good and sturdy condition. 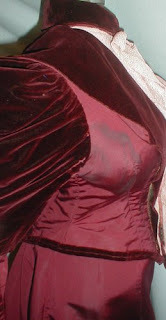 There is wide underarm discoloration (See photo) and some splitting in the pink chiffon at the neck area. 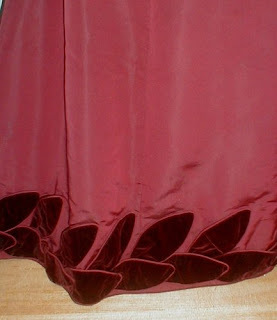 A couple of the leaves on the skirt hemline need some minor re-stitching. The dress is generously sized. 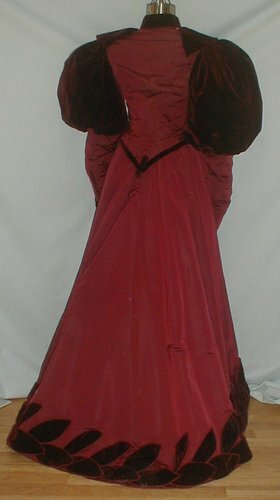 Bust 36 Waist 28 Skirt length 42. 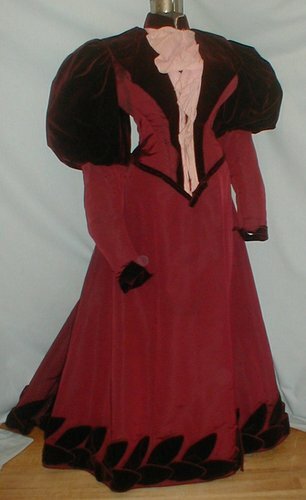 Now this would be something to wear in the fall!